We use the best tricks of experienced hairdressers this week, to reveal personal insights and Adelaide stories from our guests (Steve Davis is pictured getting some practice on Don Violi). We also talk with Janine Hardy, an Adelaide Hills mother of five who is facing a new chapter in her ongoing battle with breast cancer that has also advanced into bone cancer. At this time, having had some success with chemotherapy, the tumours are returning again. From her perspective, having been given two years to live almost five years ago, she is hoping a new, smart drug by Roche will buy her a further five years at least so she can witness her youngest child turn 18. Our voice recorder gets a work out this week as we take a contribution from Sebastian. And the editor of In Daily, David Washington, not only lends us his voice, but has also suggested adding time codes to our content details below, which we have done in a new addition we are calling the In Daily Column. 00:00:29 Theme Theme and introduction. Our original theme song in full is here, Adelaidey-hoo. 00:02:38 South Australian Drink Of The Week Annie’s Lane 2012 Clare Valley Shiraz. Tasting notes. 00:06:40 Shout outs Steve sends one to Charlie (Nigel 4) for experimenting with our voice recorder. Steve sends cheerio to David Washington, editor of In Daily, who has given us a voice grab to use between segments. 00:08:40 Stories without notice Colin: Peter Goers seems contrite about aggravating the divide between drivers and cyclists – this week, he listed himself in his ‘what’s not (hot)’ section in the Sunday Mail. Colin: Britannia Roundabout has been recognised by the Institute of Public Works Engineering Australasia in its annual Excellence Awards. Colin: The Angels’ lead singer Doc Neeson has died. Bernard Patrick ‘Doc’ Neeson was born in Belfast and emigrated to Australia with his family in 1960, when he was 13. They settled in Adelaide. The Angels formed in Adelaide in 1974. 00:14:29 Interview: Janine Hardy Janine Hardy is a mother of five children living in the Adelaide Hills and who has been undergoing a battle with breast cancer and bone cancer since 2009. And yet, just a week ago, my sister shared a message from Janine on Facebook as she was asking for help to raise money for treatment with a new cancer drug that the government has not yet decided to fund. 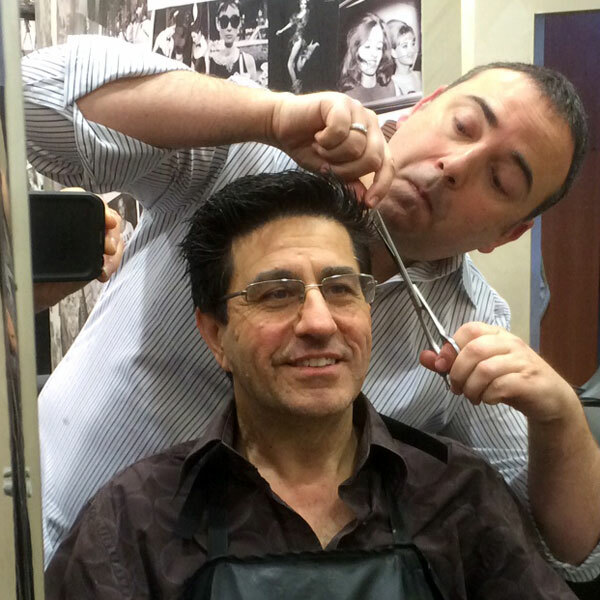 00:35:55 Adelaide’s Yesterdays This week, we’re joined by Don Violi from Khrome Hair Studio in Prospect. Don has been cutting the hair of Adelaide’s movers and shakers since the 1970s and has some stories and memories to share. 00:55:52 Stories from the street We received a contribution from Sebastian using the audio recorder on our website. Keith Gow ‏@keithgow (Visa maintained) A melbourne-based writer who has previously been involved in the Adelaide Fringe, toyed with the idea of rejecting his visa granted last week. 01:06:24 Brett’s Musical Pilgrimage Courtney Robb returns. This time with I Got A Man. SFX: Throughout the podcast we use free sfx from freesfx.co.uk for the harp, the visa stamp, the silent movie music, the radio signal sfx, the wine pouring and cork pulling sfx, and the swooshes around Siri.